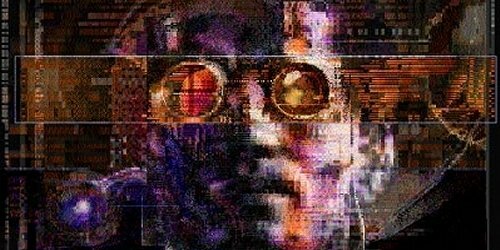 This week at PopMatters, I connected the dots between Neuromancer and some of my favorite video games. More specifically, I talked about how some of the most memorable endings end on a down note. It seems to me that many games end abruptly. You'll have a climactic battle (out of which you'll usually emerge victorious) and then the game will end. Triumph is a sweet sensation, but experiencing the aftermath can be more deeply satisfying. 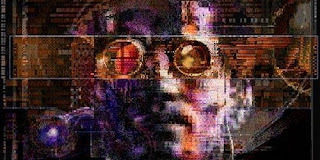 Neuromancer's climax was seemingly world-changing, but the epilogue revealed that old habits die hard and heroism can be a fleeting trait. To avoid going too deep into spoilers, I'll just say that having characters like Neuromancer's protagonist, Case, help us come to terms with what happens to extraordinary people once they settle back into ordinary circumstances. On another note, I'm happy to report that Neuromancer lived up to the hype. I never read it before and it was a pretty glaring entry on list of shame. It's always nice to see one of the foundational works of a genre withstand the test of time. We're creeping up on its thirtieth anniversary, but the concepts it brings up still feel relevant. I especially enjoyed the constant focus on what brand of products the characters used. The companies may have changed, but corporate visibility is an ever-present force in our society (just ask Apple). Finally, it's been nice to get back into reading. It sounds strange, but somewhere along the line I picked up the bad habit of just plain not reading books. I blame academia. In any case, I've read a couple novels over the past few weeks and have felt more creatively energized as a result. Nothing helps me improve my own skills like experiencing (and then "borrowing") techniques from those far more talented than me. The oft-neglected artistic portion of my brain is feeling refreshed and rejuvenated. It's nice to periodically rediscover pleasure in turning words into writing, even if the source of the inspiration is a bit depressing.